Happy Friday! Who is in the mood for a few tricks and treats? 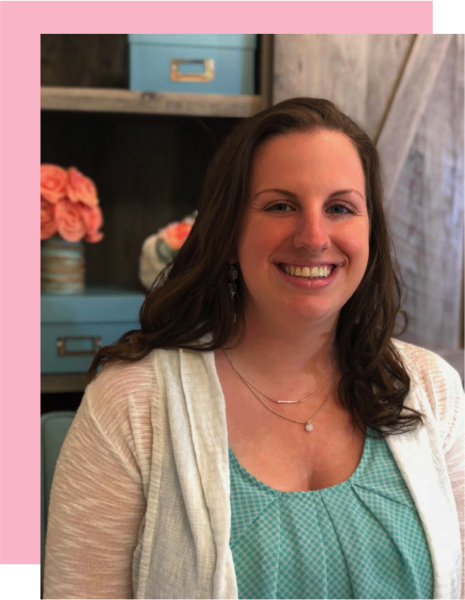 I have tons of great crafts, recipes, and lesson ideas for you so sit back, relax, and enjoy! Now I'm going to be honest....Halloween is not one of my favorite holidays. I'm a big scaredy baby. I do not like haunted houses, scary movies, or spooky anything really. Maybe I just had to go to too many haunted houses when I was little but the thought of all the blood and gore does not appeal to me. I was definitely the kid that wanted to dress up like a bride (until the monster stole my veil!) or something else cute. Although I'm not big into the scary side of things, I do enjoy celebrating first grade style with my students. 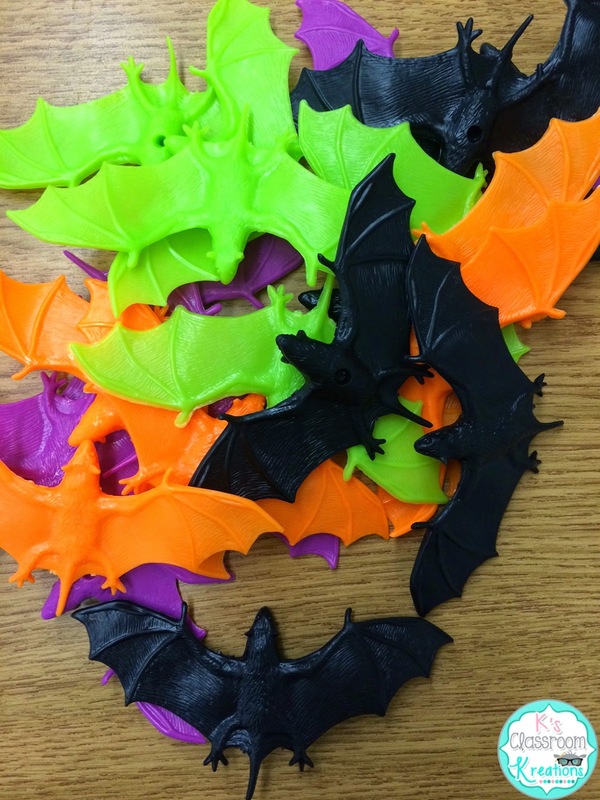 In my classroom this means tons of bat, spider, and pumpkin lessons/projects all month long! 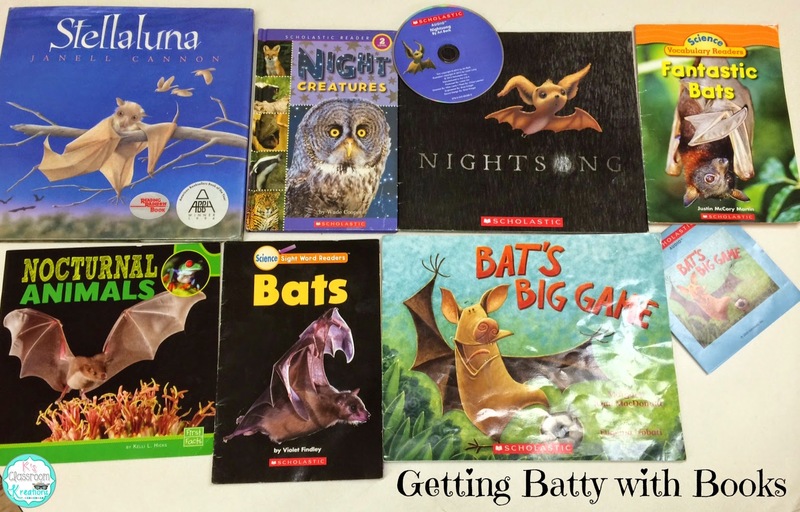 This week we focused on bats by reading Stellaluna and a variety of other fiction and nonfiction books. We also welcomed a new (low maintenance) class pet into our family. Students decided to call her Stellaluna, although several boys still insist that her name is Batman.No judgements. 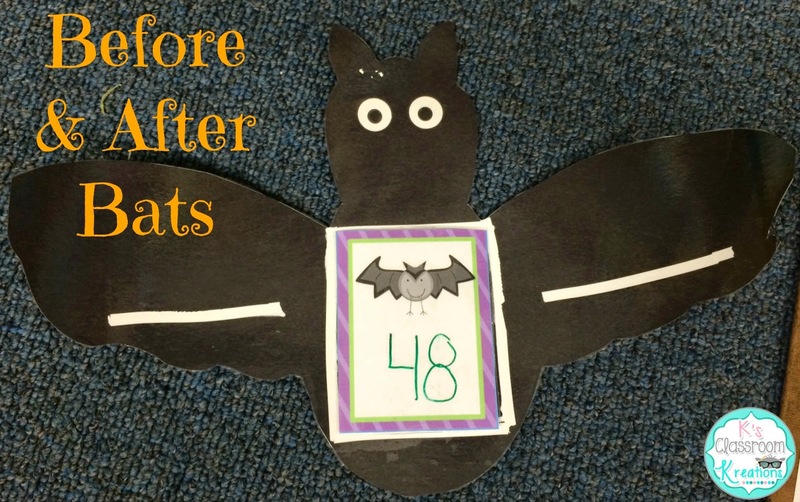 During math time we let loose with our Before & After Bats (number sequencing). 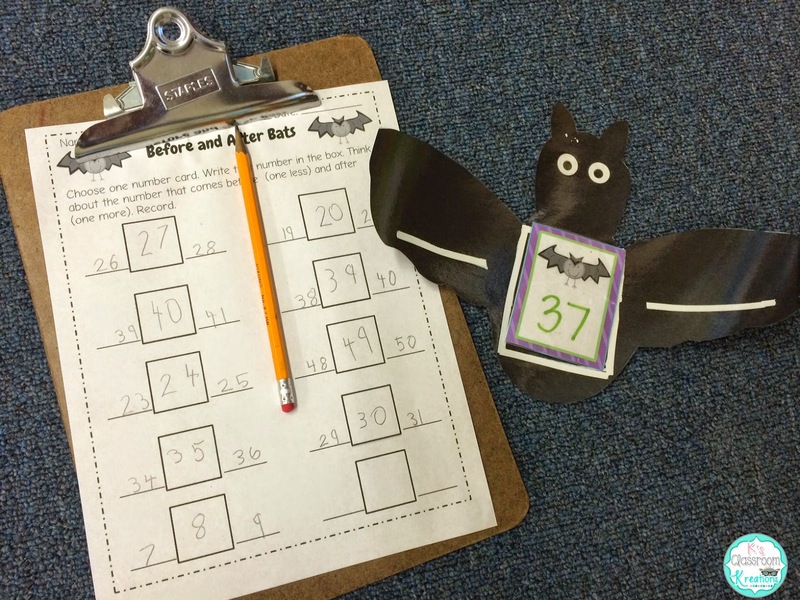 My firsties still need some practice ordering numbers so what better way than with bats. They chose one number card to place in the middle of the bat and then wrote the number that came before and after. For my students who needed a challenge I had them find 10 less or 10 more than the number. 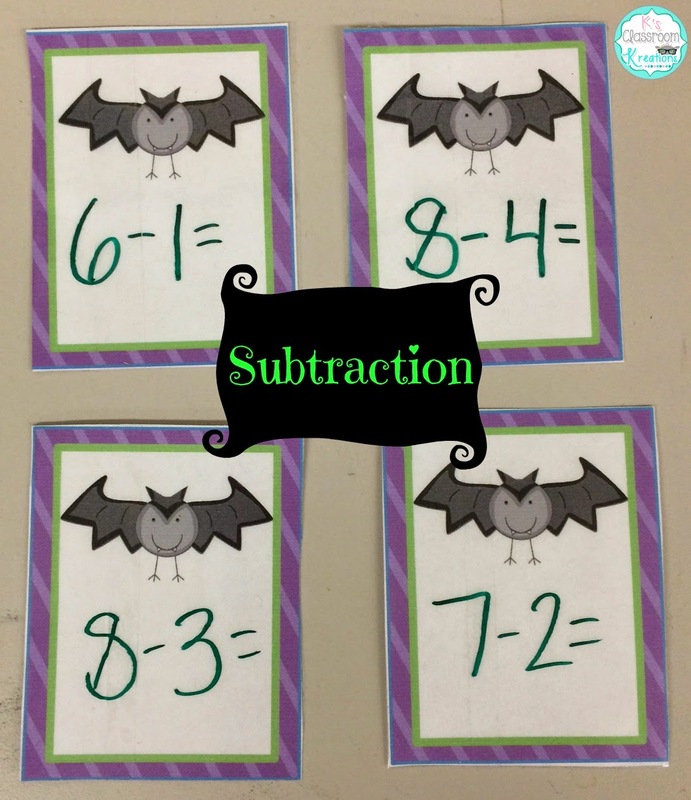 I used some of the leftover bat cards to write simple subtraction facts on. 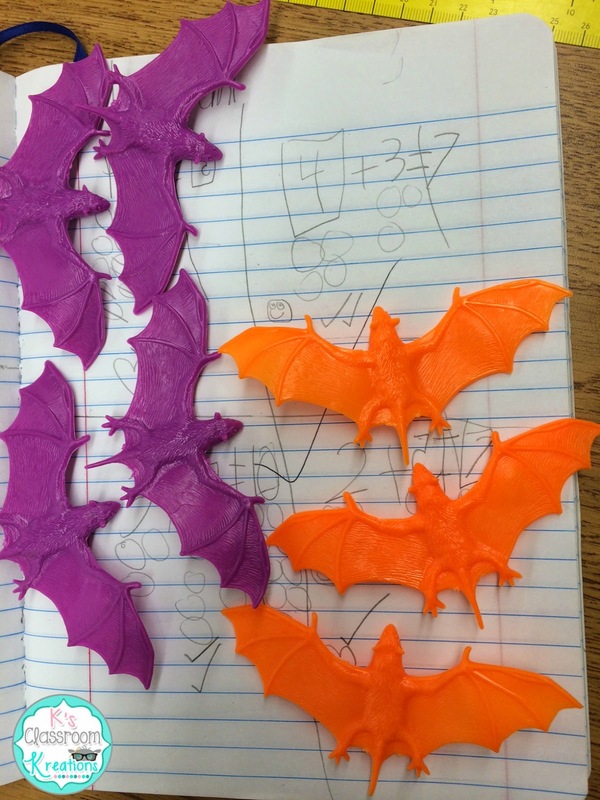 Some of my students loooooove to add even when they see the minus sign so this week we used plastic bats and had them fly away (gently tossed to the side) as we were solving equations or subtraction word problems. Another math center this week was "Whoooo" has 10? 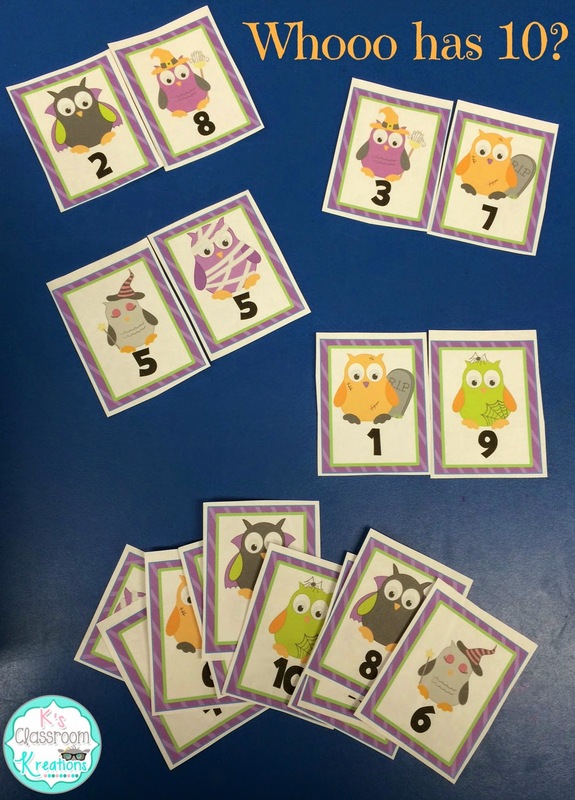 Catch this owl themed freebie to practice ways to make 10 with your own students. Students can play go fish, memory, matching, or use the cards during whole group movement activities. Next week is going to be spider week (eww). I found some awesomely creepy plastic spiders to use as props during math and writing which I am excited for. My Fun Friday activity during this unit is usually to make spider cracker sandwiches. Students spread peanut butter on two crackers to create a sandwich. They then add pretzel stick legs and M&M eyes (stuck on with peanut butter). This year we have to avoid peanuts like the plague in my room so I am still modifying the plan in my head....maybe chocolate frosting on vanilla cookies? Last thought of the night....the following equation is true correct? (It's almost Halloween, candy is a given...plus they do almost count as fruit right?) 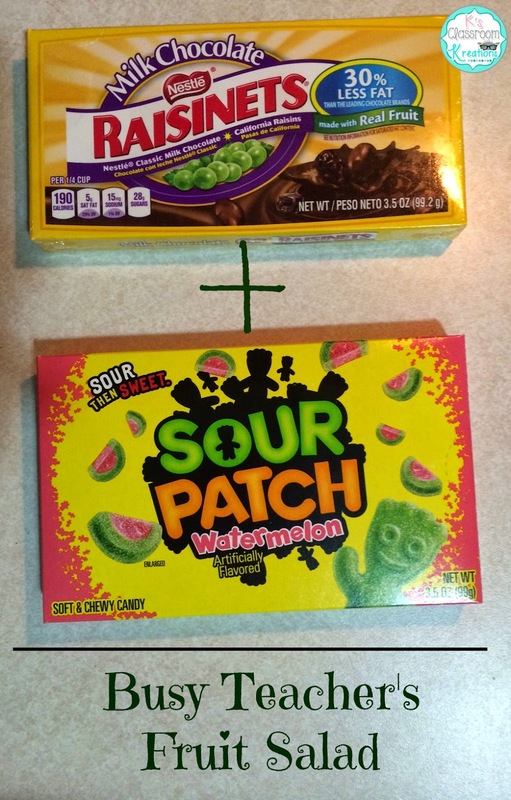 These are my two all time favorite candies! Growing up my sister and I used to pour all of our candy on the floor when we got home from Trick-or-Treating and began the long process of bartering and rationing the goods. Ahhhh, the good old days! 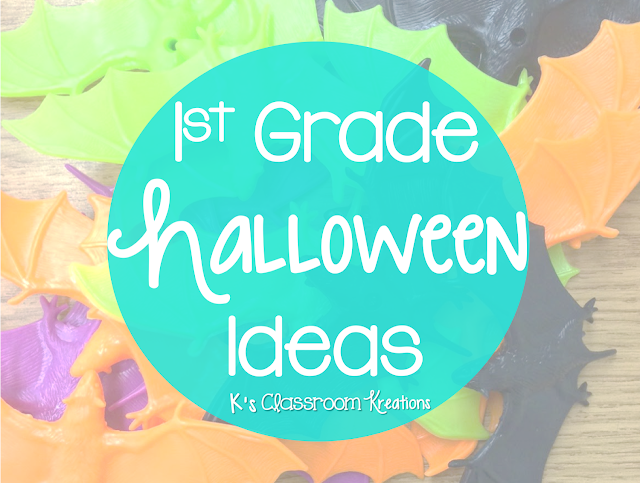 I hope you found some new Halloween inspired math ideas. Happy Halloween teacher friends! Loved bartering candy after trick-or-treating! I love teaching about bats! 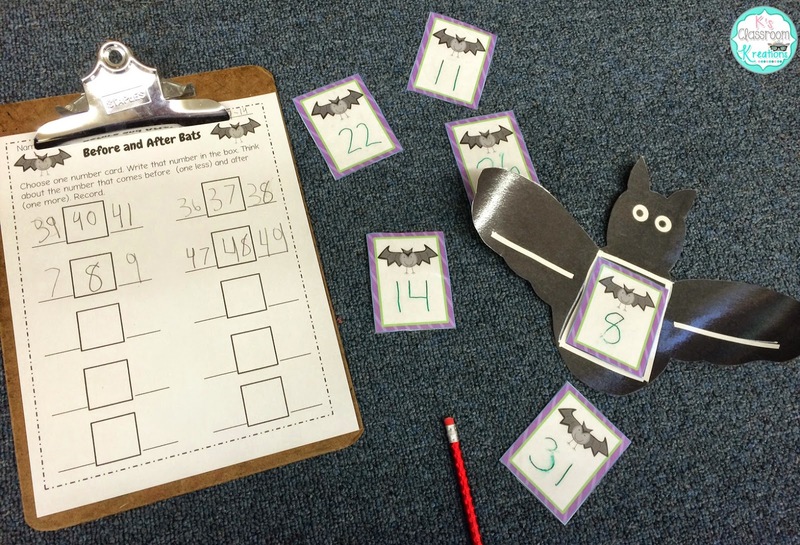 I've been wondering how to use bats in math but now I have some ideas that I can adapt for my 2nd grade bunch! I'm right there with you....I hate scary things! Kid friendly Halloween works for me but nothing scary. Also, I love the layout and color combination of your blog. Very cute!! I've also nominated you for the Libester award! I am so happy I stumbled upon your blog. Check out the nomination by clicking here!